Shown in Neptune Biscuit with Deluxe Mattresses and in Neptune Purple with Eton 1,000 Mattresses. 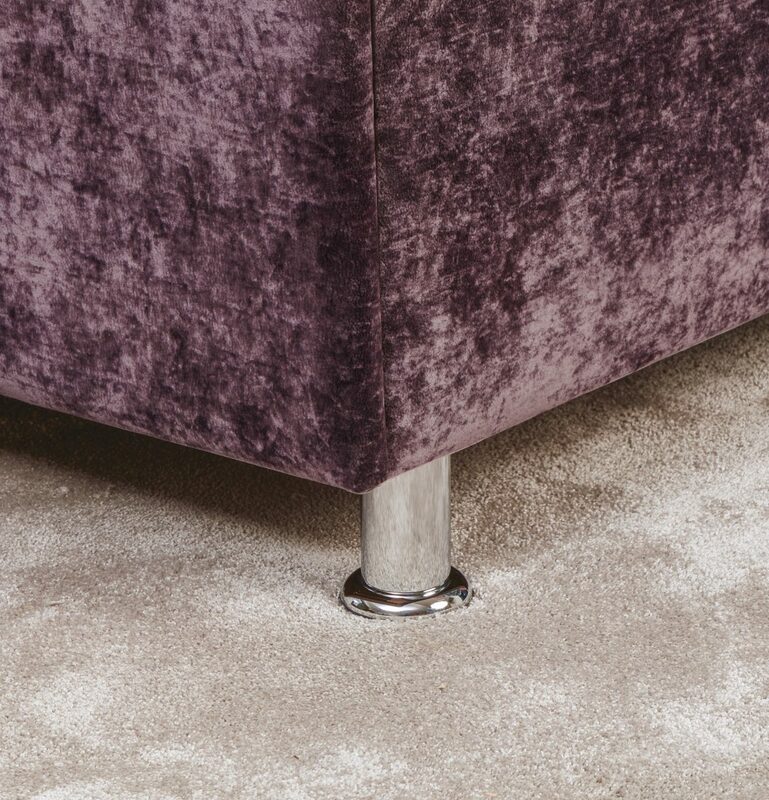 Hampton Adjustable Beds rest on stylish chrome-plated legs with a 9.5cm (3 3/4″) clearance from the floor, which can be useful for various mobility aids. 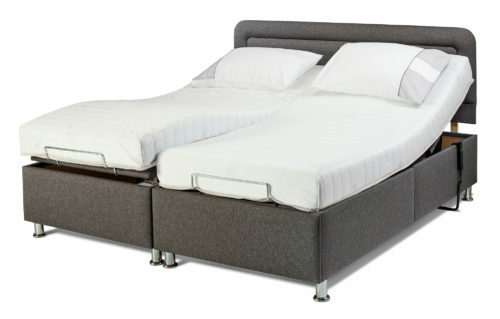 All SHERBORNE Adjustable Beds use a unique action supplied in two parts only (PATENT NO. GB 2,520,150) for ease of delivery and easy assembly with no tools required. 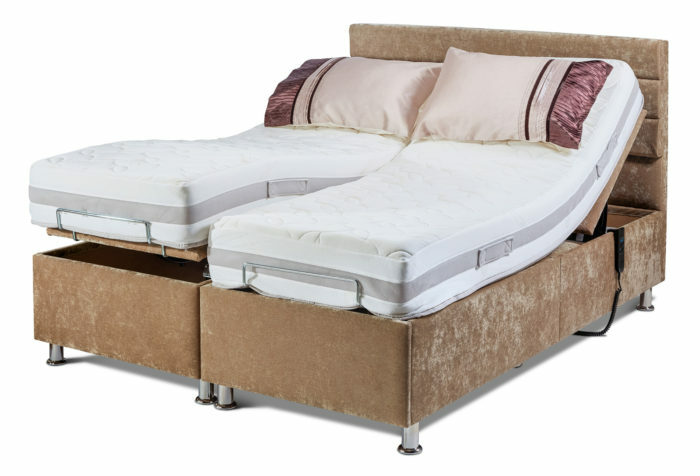 The Hampton and Dorchester are some of the strongest Adjustable Beds available anywhere and are backed by a personal Sherborne 5 Year Guarantee on all electrical components, actions and frames up to a generous weight limit of 28 stone (178kg). 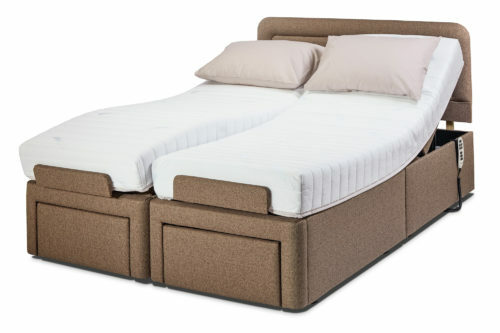 The 5′ Bed consists of two 2′ 6″ Beds joined together with each Bed offering dual motor control for independent adjustment of the upper and lower body. Use this exciting new feature to visualise the Hampton range in any of the covers in the extensive Sherborne collection. 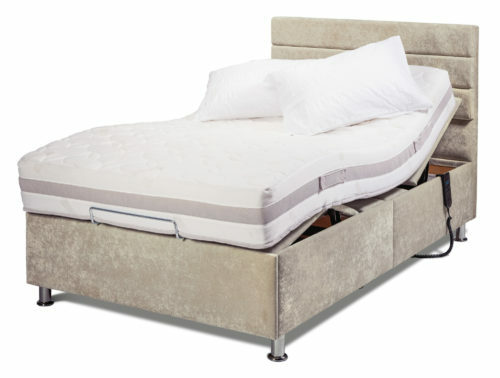 The Hampton Adjustable Bed range also has a remarkable range of features. Read more here. This sleek handset is supplied with all Hampton Head-and-Foot Adjustable Beds.